HIV Testing in the Philippines: Top 5 Best ways to get tested for HIV/AIDS. - HIV/AIDS Testing : 5 Best ways to get tested for HIV/AIDS in the Philippines. HIV/AIDS Testing : 5 Best ways to get tested for HIV/AIDS in the Philippines. HIV Testing in the Philippines: Top 5 Best ways to get tested for HIV/AIDS. HIV is rising in the Philippines specially in Urban areas like Metro Manila. The lack of information on how to get tested is a major contributing factor why HIV is spreading like wild fire. Below are the top 5 best ways to get tested for HIV/AIDS if you are living in the Philippines with #1 being the best and the most recommended. This is the first on our list and perhaps the most common method of HIV testing performed in our country. Please do take note however that not all hospitals have the facility to test for HIV so ensure that the hospital that you are going to includes HIV testing as one of their diagnostic services. Click here to see the full lists of HIV testing sites in the Philippines. 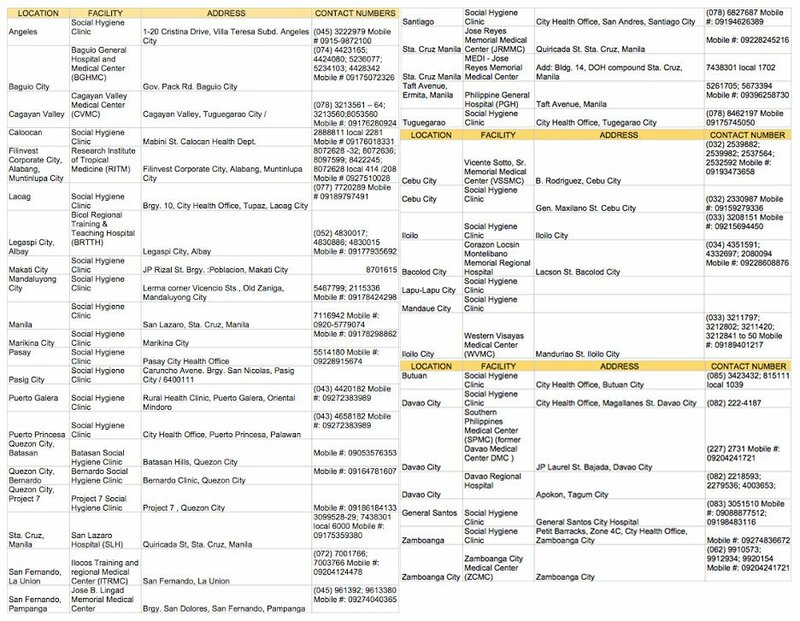 These are all public HIV testing centers so please do take note that in case you will test positive, they will have to record you as well as monitor you and ask you about your previous sexual contacts and complete medical history. PROS: Free. Friendly and accommodating staffs. Free counseling services. CONS: Not for the discreet type since there are many people here. I heard horror stories of a discreet guy seeing his brother getting tested before him(what a nightmare!). Minimum waiting time is 2 hours. Entire testing will take 2 to 3 hours. Please call them first before going there because they are not open everyday. You should also arrive early because they have cut off time. If you have 1,200 pesos, then this is better than #5 and #4. You will simply visit their hospital either in Quezon City or Global City between 8 A.M up to 5 P.M only, just go to the information desk and ask for “Blood Testing” they will forward you to an outpatient clinic where you will have to fill up a form with your name, address, etc. etc. and what blood tests do you want to perform. Simply tick HIV/AIDS on the list. You will have to pay to the cashier and give the receipt and form at the outpatient clinic. A nurse will then draw blood from your veins and they will simply give you a small stub containing a pin number. You can check the results online via their website at http://www.stluke.com.ph by entring the pin number and the password you chosen when you filled up the form. Result is ready in 5 days. PROS: More private than #5 and #4. Very few people, if there is any, getting tested. Results are checked online. CONS: It will take 5 days for the results to be ready. Costs 1,200 pesos. PROS: More specialized than St. Lukes but basically almost the same. Results are sent via email. CONS: It will take 5 days for the results to be ready. Costs 1,000 pesos. 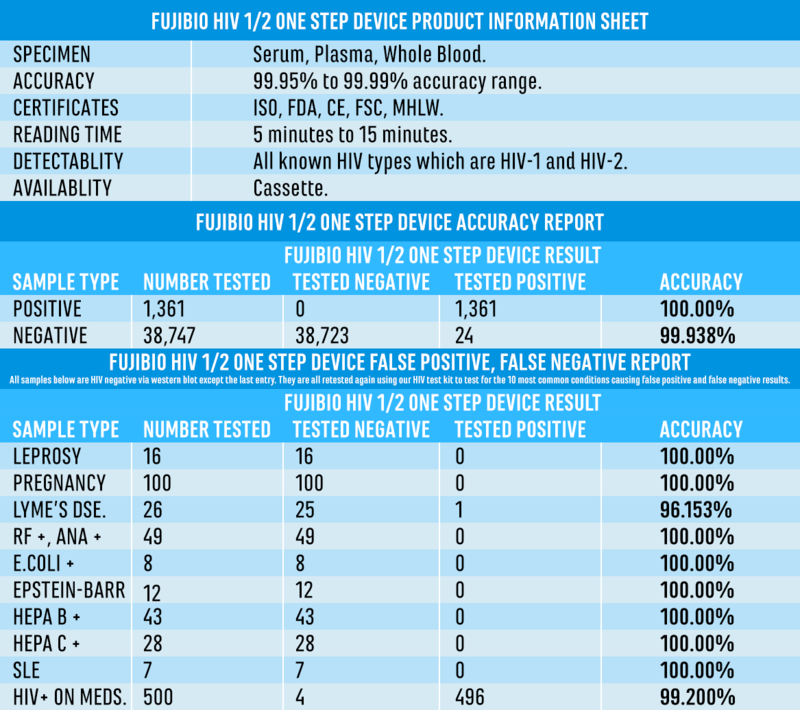 In my opinion, the best way to get tested is just to test at home but please be careful of buying HIV home test kits online specially in OLX/Sulit/Ebay as most of them are bogus, inaccurate or just scams with no accuracy data or certification to back them up. Buy only from a reputable site. I highly recommend HIV test kit Philippines. They offer a Japan made test kit called Fujibio HIV Home Test Kits that is 100% specific in testing HIV and results is already seen in just 10 minutes. 100% specific means that if you tested negative, you are 100% negative. It is also 99.9% accurate similar with any other tests I mentioned above. Take note that no test is 100% accurate even the tests performed in the hospitals. The kit costs 875 pesos and the site contains all the details and instructions on how to use it and how to read the results. You can read their accuracy report by clicking here. They offer pretest and post test counseling. Their counselors are very nice, friendly and accommodating and all of them are either doctors or nurses so they really know what they are talking about. They also have a very wide knowledge when it comes to treatment options and referrals. PROS: 100% Anonymous and private. Results in 10 minutes. Accuracy is similar to hospital tests. Can be performed at home. Free worldwide and nationwide delivery. They offer free counseling services that is not offered anywhere except in #4. CONS: Shipping will take 1-3 days depending on your location in the Philippines. In late-stage HIV infection, the virus would have spread through the body and attacked the immune system for many years without treatment. On blood tests, the number of viral copies, or viral load (VL), will be very high, while the CD4 cells of the immune system would be very low.